Watch Full Episodes of The Walking Dead. Andrew Lincoln, Sarah Wayne Callies, Laurie Holden, Steven Yeun and Norman Reedus star in AMC’s horror drama TV series The Walking Dead, based on the comic book series written by Robert Kirkman and published by Image Comics. 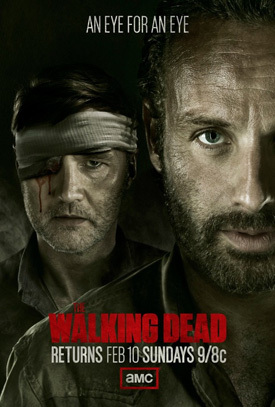 Watch the full episodes of The Walking Dead via the links below. In this uncertain world, Rick Grimes (Lincoln) and his band of survivors must not only fight the dead, but also face a whole new fear: the living. AMC’s exhilarating zombie drama, “The Walking Dead,” explores a desolate post-apocalyptic world in which Rick Grimes (Andrew Lincoln) and his band of survivors must fight the dead to survive. They soon discover that there are greater forces to fear than just the walking dead. In this uncertain world, the survivors must not only fight the dead, but also face a whole new fear: the living.